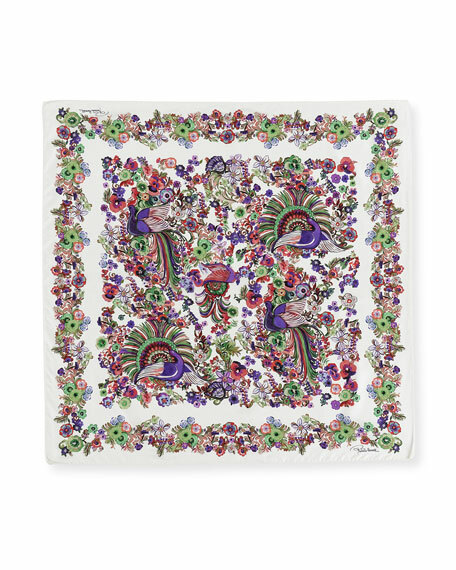 Roberto Cavalli silk satin scarf in floral print. Approx. 54"L x 25.5"W (135x65cm). Features peacock detail through center. Fold at corners for draped effect. For in-store inquiries, use sku #2057653. 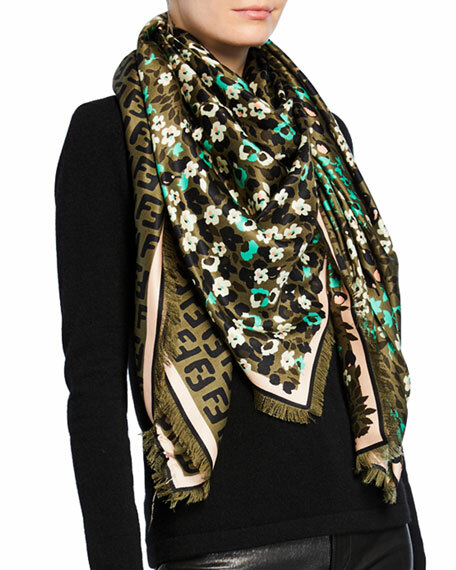 Fendi scarf in floral and FF print. Approx. 55" (140cm) square. Lightweight, seasonless fabric. May be styled multiple ways. Fringe finish on edges. Silk/wool. Made in Italy. 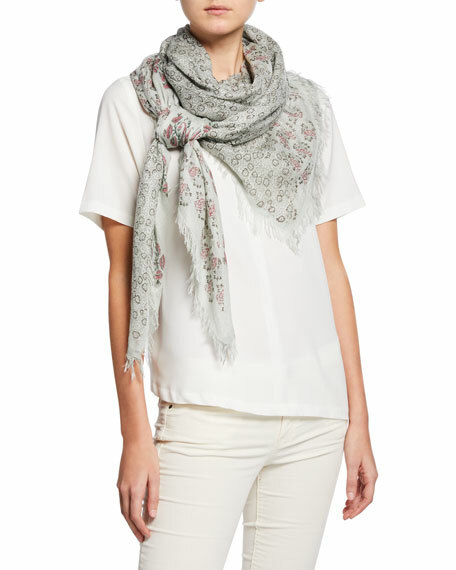 Mangrove "Acacia" floral patchwork scarf. 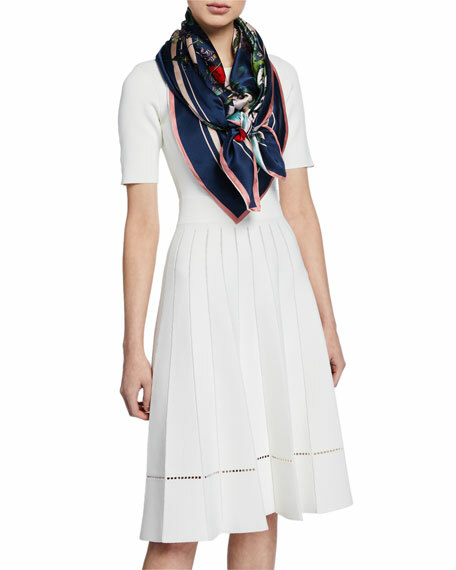 Lightweight, seasonless fabric. Approx. 60" square. May be styled multiple ways. Fringe finish around edges. Cashmere/silk. Imported. St. 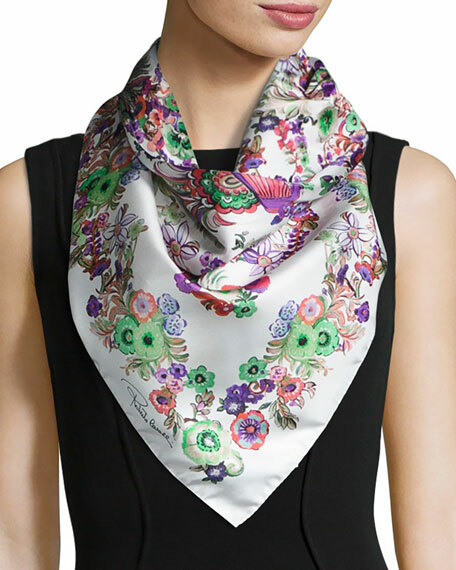 Piece "Jacqueline" double sided floral scarf in silk. Lightweight, seasonless fabric. Approx. 53.5" square (136cm). May be styled multiple ways. Made in United Kingdom.